How to guard against an aggressive pro willing to barrel-bluff three times? Learn how to respond. Carlos @HipHop101Trivia Welch with advice for how best to protect against triple-barrel bluffs. Imagine this scenario. An aggressive pro has position and the initiative against a less experienced amateur. After continuation betting the flop and barreling the turn, the pro knows that in most cases, the amateur does not have a hand strong enough to call a big river bet because he has passed up on three previous opportunities to raise before the river. For this reason, the pro fires a big river bet to get the amateur off the vast majority of his hands. Once this happens, the situation becomes almost impossible for the amateur, although it is understandable how he ends up in such a bad spot. With a made hand, folding the flop or turn feels too weak. On the other hand, calling the big river bet feels too spewy. The problem is that when you raise all of your strong hands before the river, you only leave marginal hands in your turn check-calling range. This is a sure-fire way to lose to a good aggressive player with position on you. To fix this leak, you must strengthen your turn check-calling range by not calling with some of your weaker made hands and by not raising with some of your stronger ones. If you are the type who check-calls the flop and turn with hands as weak as bottom pair or marginal drawing hands only to fold them on most rivers, you should instead consider either folding earlier or raising those hands as a bluff. Additionally, if you always raise hands like two pair or better on the turn, you should consider just calling with some of them against aggressive pros. Sure, a hand like two pair feels like a good hand that needs protection, but it may serve better as a bluff-catcher against an aggressive pro. Look at the alternative. If you raise and he calls, most of the time he'll be ahead or at least not too far behind. Pros do not make their living by calling amateurs' turn raises with less than two pair. Meanwhile if you raise and he folds, then you just let him get away from a hand with which he would have likely bluffed three streets. As scary as it sounds, you have to hold tight and let a bluffer bluff. The best hands with which to do this have blockers to the pro's value range, are unlikely to be called by worse if raised, and are unlikely to be drawn out on very often. A hand like top two pair has all of these qualities. To take an example, let's revisit a hand shown during the World Series of Poker Main Event coverage from a few years ago. 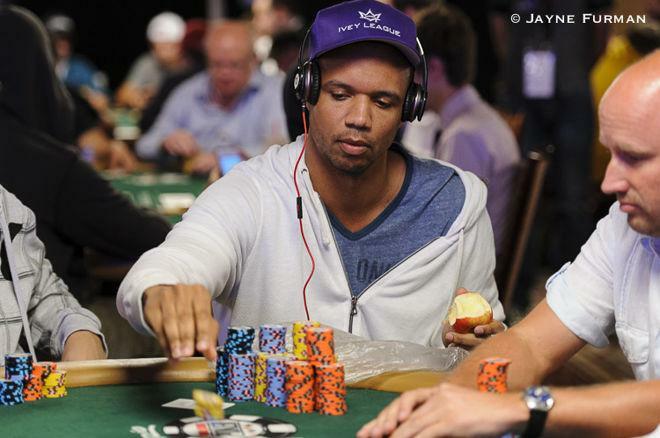 In the hand, Phil Ivey had a big stack and opened under the gun with . He got two callers, one on the button and the other an amateur in the big blind with . The flop came . Ivey bet, the button folded, and the big blind called. Given that the big blind passed up opportunities to raise preflop and on the flop, Ivey knew that he was unlikely to have two pair or better. The turn was the and again the big blind just check-called another bet from Ivey. At this point, most amateurs would have raised a hand stronger than one pair to protect against the flush and straight draws. Ivey was likely able to put him squarely on a weak one-pair hand or a possible draw. The river was the , a card unlikely to have improved the amateur's hand. The big blind checked, Ivey put him all in, and the amateur predictably folded. I don't think there is much else Ivey's opponent could have done with here, but what would this player have done with ? My guess is that he would have played it the same way. Instead, I believe this hand works better as a fold or bluff-raise at some point before the river. What would he have done with ? Most players would raise it before the river on such a wet board, but I think it works better as a three-street bluff-catcher in this scenario. Regardless of which hands you decide to continue to the river with when facing bets from an aggressive pro, be sure to know where you are in your range. If you find yourself uncomfortable with the top of your river check-calling range when facing a triple-barrel, then you've found a spot where your range needs to be strengthened in order to protect yourself on the river in the future.